It is a well known fact that listening to music whilst working out is a great way to improve your performance, but what songs are best to work out to? There is no fixed answer to this - anything that inspires you, gets your blood pumping faster or even just makes you smile, will all improve your performance whether you are out on the road or in a gym. 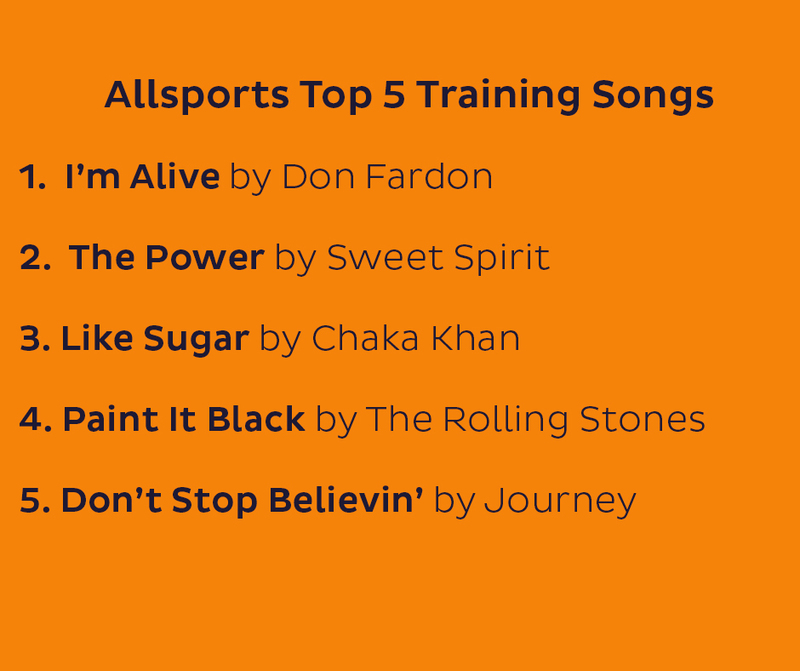 We had a think about what our favourite tunes to work out to and came up with the Allsports Top 5: I'm Alive by Don Fardon, The Power by Sweet Spirit, Like Sugar by Chaka Khan, Paint It Black by The Rolling Stones ad Don't Stop Believin' by Journey. Let us know what yours are!